My interest in making art outside conventional classrooms has led me inside hospital clinics, rehab centers, pediatric waiting rooms and nursing stations to create work with and for the public. I believe that the act of making is an act of mending. I have developed an arts practice that relies on lacing together cloth, paper, ink, thread. Projects have included: making large whimsical art quilts with pediatric patients to raise money for their care and scientific research; layering dreams and memories in translucent silks with cancer patients for wall installations; building words on fabrics to make head scarves; engaging an entire hospital staff to contribute to piece of abstract art that celebrates the splendors of the natural world; writing impossibly perfect poems with 6-year-olds and stitching in their truths, by hand. I have noticed that making art together doesn't respect the boundaries of clinical science--it responds to the wide open space of the imagination. 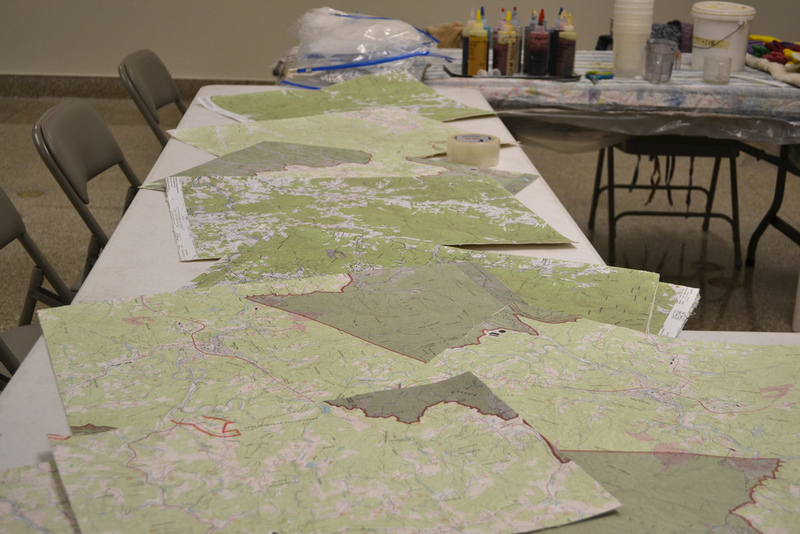 Remapping the Mountain (2012) was created with employees of the Blue Ridge Regional Hospital in Spruce Pine, NC (including employees with regional clinics) to explore healing art connections through the creation of a collaborative work of visual art for the hospital. I led participants through a mixed media arts residency designed to fit in and around a busy workplace. Town Flowers (2006) an embellished art quilt commissioned for the Cafe at The Levine Children's Hospital, Charlotte, NC. The six panel art quilt includes fabrics (hand dyed and painted cottons and linen) created with Charlotte youth. Each of art quilts is pieced, machine stitched, beaded, 40 x 40 inches. 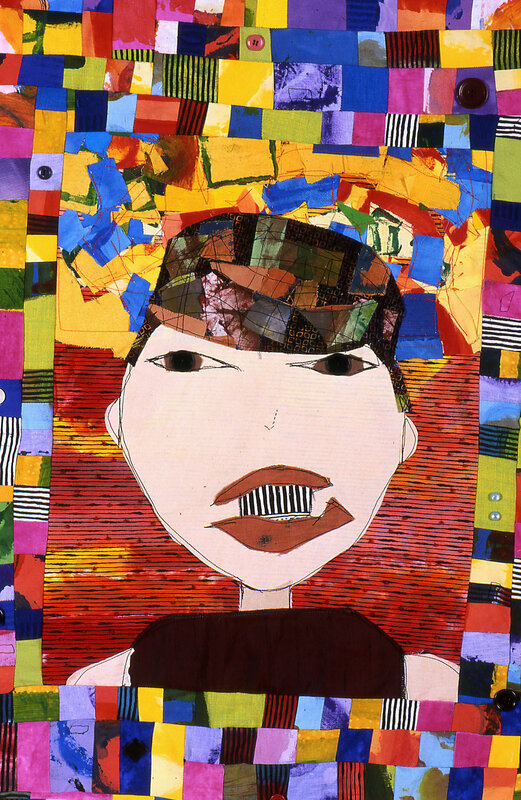 Faces (2006) is an art quilt triptych created with hospitalized youth at Duke Children’s Hospital, Durham, NC during a textile residency program. Writing the Undersong (2005) is a textile collage created with patients and their families at the Moses Cone Regional Cancer Center in Greensboro, NC. The project was supported by Green Hill Center for NC Art and the North Carolina Museum of Art. Wishing Garden (2005) is an art quilt triptych created with hospitalized youth at the Duke Children’s Hospital, Durham, NC during a textile residency project. Learn more about all my projects in ARTS IN MEDICINE.